New York's Bellmore Patch reports that with the new school year just around the corner, parents and children are gearing up to go back to school and possibly, back to bullying. The Girl Scouts of Nassau County has recognized this behavior, relational aggression or bullying, defined as a behavior that harms others by damaging or manipulating one's relationships with peers, or by injuring one's feelings of social acceptance, and explains how this year bullying will be different. If your child is cyber bullied by another student, the school is required to take action. Schools have to address ALL bullying incidents, even those that occur off of school grounds. Educate yourself on your school’s bullying policy. 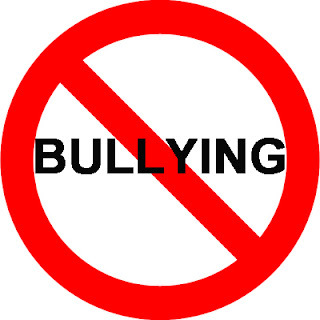 Schools must post their bullying policies in a public place – on the school website, in the student handbook, etc. Partner with appropriate staff at your school, including teachers, administrators, and staff assigned to bullying incidents. Schools are required to have one staff person dedicated to investigating, resolving, and reporting all bullying incidents. Encourage your school administration or PTA to sponsor anti-bullying programs. Schools are required to provide bullying prevention programs to students. Many organizations offer these programs, including Girl Scouts of Nassau County. Schools are required to provide staff training on how to address bullying. Girl Scouts of Nassau County offers staff training programs and can connect you with other organizations who also offer these programs. The Girl Scouts of Nassau County has been tackling relational aggression head on for more than six years. Schools, religious groups and community members have benefited from their programs. This past year alone they have conducted 80 workshops to more than 1,000 girls and 200 parents giving them the tools, tactics and language to address bullying and social aggression. “We are happy to see the state get involved in this destructive behavior and hope that we can continue to educate the community about what to do when your child is bullied, in the hopes to stop it once and for all,” Ceravolo said.